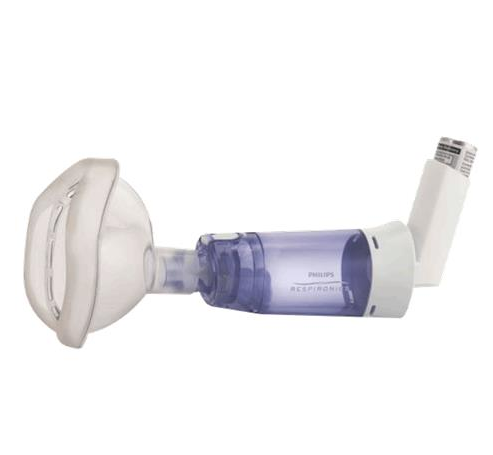 Optihaler Asthma Spacers, manufactured by Respironics, are Asthma Spacers designed for use with MDI Inhalers. 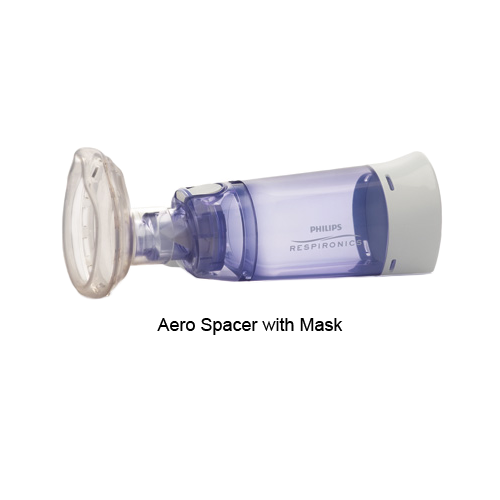 Asthma Spacers are ideal for most individuals, because the stair-stepped mouthpiece fits a variety of masks. The bottom of the asthma inhaler spacer is flat for convenience. The anti-static holding chamber is ideal for aerosol medications, because it delivers a consistent dosage every time. 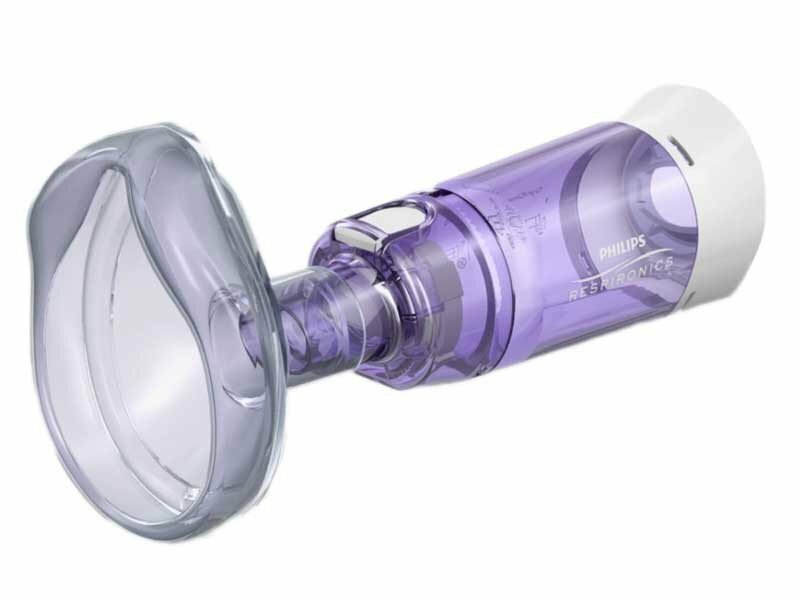 These Spacers for Inhalers will help the patient obtain proper breathing habits due to a high-flow whistle feature. Spacers are available with or without LiteTouch Spacer Masks, which are designed to improve medication delivery. The masks include soft-touch technology that offer a comfortable, contoured seal around the mouth and nose. 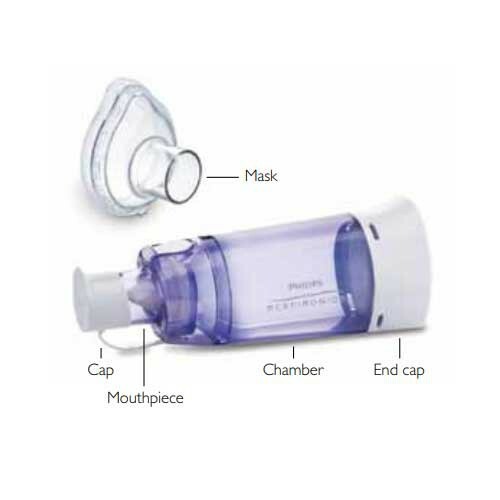 This seal reduces medication leakage and waste, and anyone can use the masks without any special technique. Masks come in three sizes and are made of polycarbonate silicone. 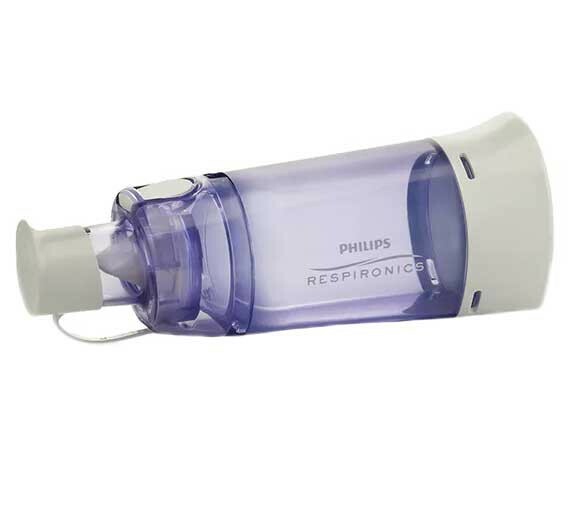 Respironics manufactures many Respiratory Products to help patients breathe better and stay healthier, including SideStream Plus Nebulizer and Nebulizer Masks. Mini Guide for Users provides user instructions. Use Instructions for this MDI cannister and spacer. Preparation: Remove the mouthpiece caps from both the MDI and the Diamond. Look inside both ends of the Diamond for any objects that don’t belong there and check for damage. Insert the MDI mouthpiece firmly into the flexible adapter at the end of the Diamond. Hold your Diamond and MDI together and shake well according to your MDI instructions. Taking your treatment: Place the mouthpiece of the Diamond in your mouth and close your lips firmly to form a tight seal. Exhale to get ready for taking a full deep breath then spray one puff of medicine into the Diamond and begin to inhale slowly, taking a full deep breath. Diamond’s high flow warning signal will alert you if you are breathing in too fast. If you hear the signal, continue to inhale but try to inhale more slowly with the full deep breath to allow the medicine particles to get deep into your lungs. Hold your breath for up to eight seconds if you can and then breathe out slowly. If your doctor has instructed you to take more than one puff of medication, repeat this procedure. If you take several MDI medications, you can use your Diamond with most of them. Your healthcare professional will tell you which medication to take first. Remove the MDI from the Diamond and replace the mouthpiece caps on both the MDI and Diamond before you put them away. Remember that after taking certain medicines like inhaled corticosteroids, you need to rinse out your mouth thoroughly without swallowing the water. 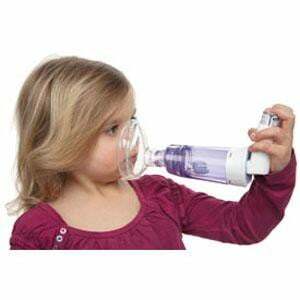 Follow the directions on the MDI for instructions specific to your inhaler. If you have any questions, be sure to ask your healthcare professional. Cleaning: Diamond can be taken apart for thorough cleaning. Remove the mouthpiece cap and move it to the side of the chamber. Then rotate the mouthpiece to the right and pull apart to disassemble. Remove the flexible adapter by gripping the end and tilting the top back. Your Diamond should be cleaned once each week. Agitate all the parts in warm soapy water using a mild dishwashing liquid for one minute. Then soak for 10 minutes. Rinse and shake out excess moisture and let air dry. When the parts are dry, reassemble Diamond by aligning the mouthpiece onto the chamber – rotate to lock. Replace the mouthpiece cap. Place the flexible adapter onto the chamber and push until it snaps on securely. Let’s review the steps again. Remove the mouthpiece caps from both the MDI and the Diamond. Look inside both ends of the diamond for any objects that don’t belong there and check for damage. Insert the MDI mouthpiece firmly into the flexible adapter at the end of the Diamond. Hold your Diamond and MDI together and shake well according to your MDI instructions. Place the mouthpiece of the Diamond in your mouth and close your lips firmly to form a tight seal. Exhale to get ready for taking a deep breath. Then spray one puff of medicine into the Diamond and begin to inhale slowly, taking a full deep breath. Hold your breath for as long as you can, up to eight seconds and then breathe out slowly. If taking more than one puff of medication, wait at least one minute between each puff. When your treatment is completed, remove the MDI from the Diamond and replace the mouthpiece caps on both the MDI and Diamond before you put them away. Here’s how to use the Diamond with a facemask. LiteTouch mask’s unique soft-seal gently conforms to the face with gentle pressure. Preparation: Remove the mouthpiece caps from the Diamond and the MDI. Look inside the Diamond and remove any object that doesn’t belong there and check for damage. Insert the MDI into the oval opening of the flexible MDI adapter at the end of the Diamond. Place the LiteTouch mask over the Diamond’s mouthpiece and gently twist until it fits securely. The narrow portion of the mask fits over the nose and should be upright. Hold the Diamond with mask and MDI together and shake well according to your MDI instructions. Taking your treatment: Place the LiteTouch mask gently over the patient’s nose and mouth to create a seal. The flexible cushion contours to the face to prevent leaks. 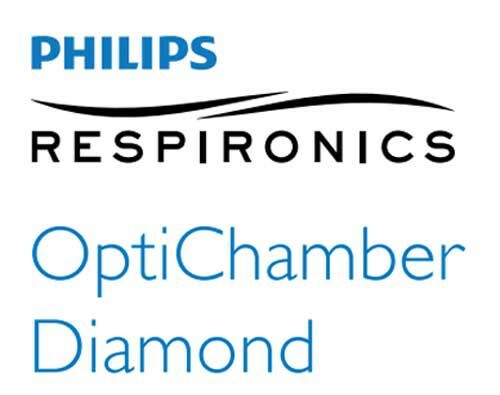 After the patient exhales and at the start of the inhalation, spray one puff of medication into the Diamond. 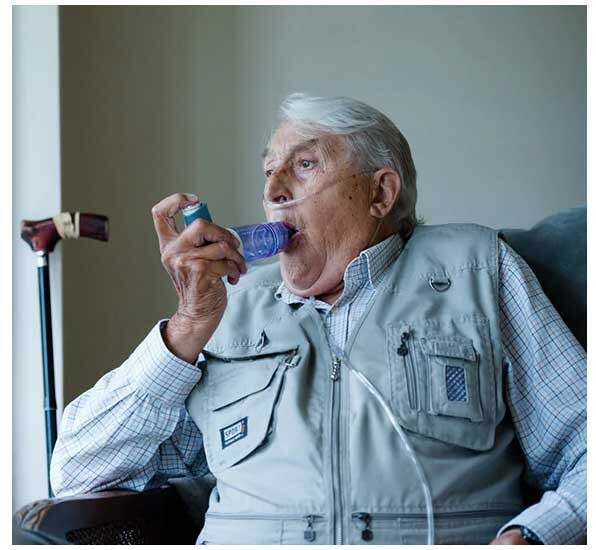 When the patient inhales through their mouth, the medication will be inhaled as well. Continue to hold the mask in place for at least six breaths after spraying the medication. You can count breaths by watching the flap open and close on the exhaust valve on top of the chamber. Cleaning: Weekly, agitate the mask in warm, soapy water for two minutes or soak for 10 minutes. Rinse and air-dry. If you have any questions, be sure to ask your healthcare professional. Is it suppose to whistle? How do I know if i'm doing it correctly! Will this fit the Advair hfa? I followed directions to put inhaler in the first time I had it but now I've forgotten how to insert canister. We've updated the product page to include a how-to video on installing the canister. 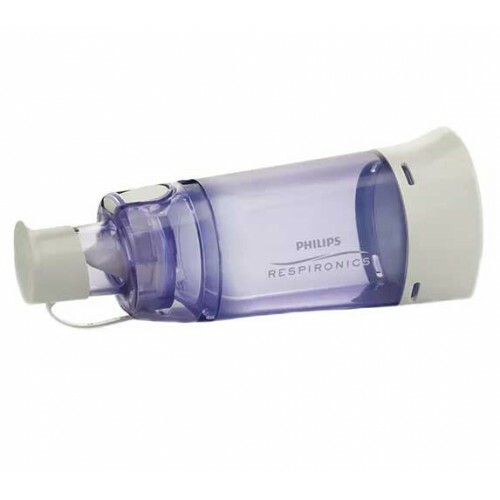 I use the Opichamber Respironics and was wondering do I need to rinse my mouth out after certain inhalers? 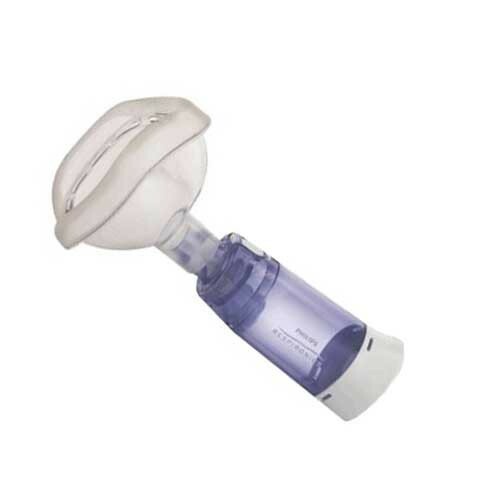 Please provide proper cleaning guidance for the OptiChamber Diamond Asthma Spacer MDI Inhaler. Helps with getting full dosage. Excellent product. The exact same one I got when my children's pediatrician wrote a prescription for their daily and emergency inhaler. I needed another one and there was some type of miscommunication with the doctors office and the pharmacy never received the prescription. I took it upon myself to find one online, and came across Vitality Meds. I was very pleased to find the exact same one the doctor originally prescribed without having to take so many steps just to get 1 simple spacer for my children! I've already ordered another one for my second child. The original one was so old, it was time for another, and plus both children should have their own spacer so they don't share cold's either! Best product, great, fast service! I googled the Optichamber and found Vitality Medical. The price was much lower than the pharmacy. Ordering was easy. Used code to get free shipping and the item was delivered in a couple of days. I am very impressed with this company and their service. The product got to me extremely fast. It was exactly as pictured online. My son has been using this spacer for several years. It is easy to use. We needed an additional one to leave at the school nurses office. The product arrived quickly! Saved a few bucks by ordering through vitalitymedical.com. Excellent customer service. 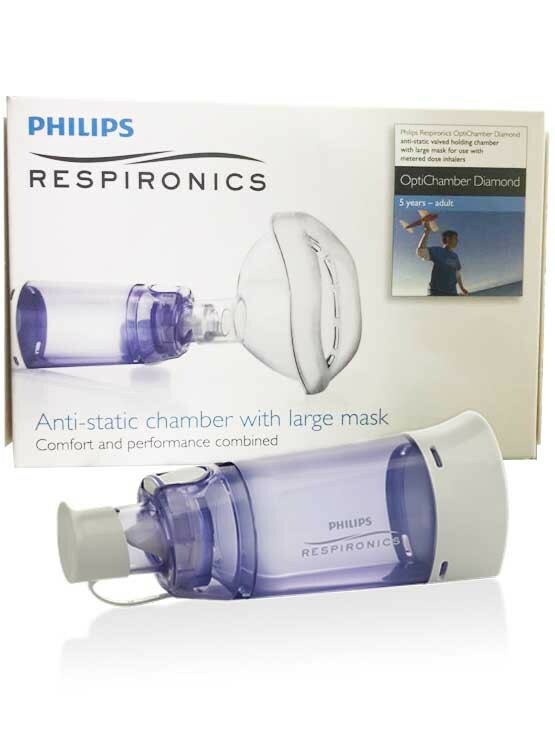 Bought two AeroChambers and beyond satisfied with the product.